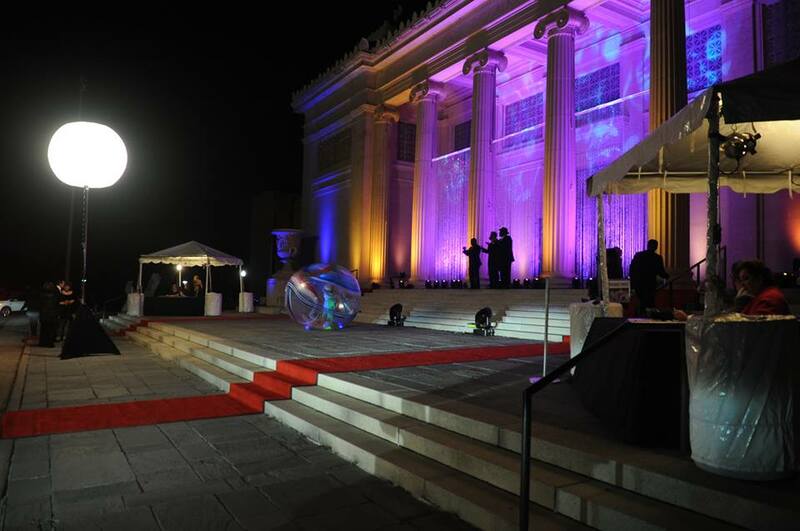 The Mystic Krewe was honored to be selected as a partner and sponsor for the 2014 New Orleans Museum of Art “Odyssey Ball” event last month. 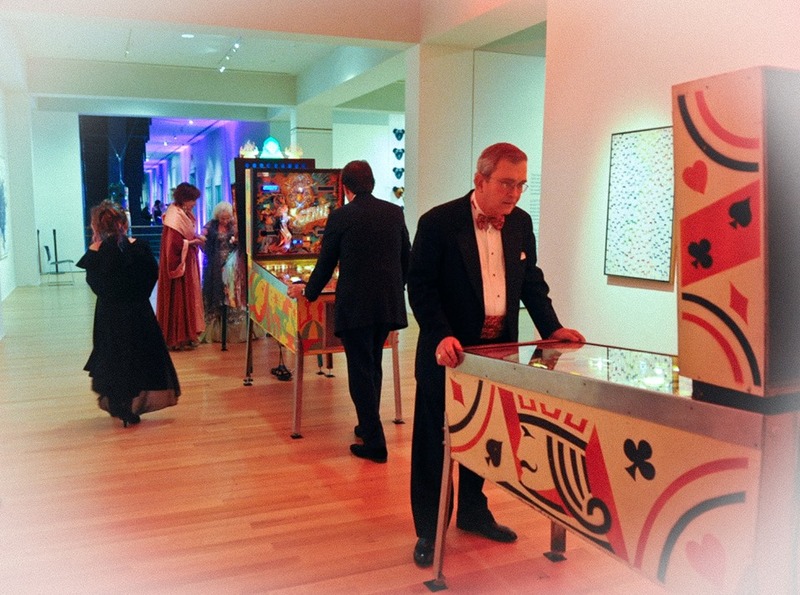 This is the museum’s major fundraising event of the year, a fancy black-tie gala featuring live bands, choreographed entertainment, a silent auction of many special gifts, wonderful food and amazing artwork, attended by many of the regions most influential luminaries. 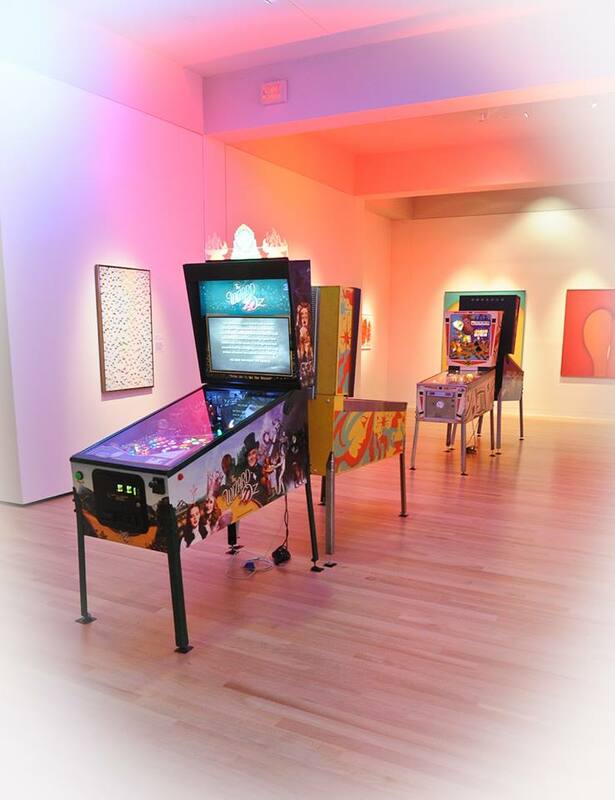 In association with a new exhibit opening featuring photo-realist painting, the Mystic Krewe brought an array of vintage pinball machines representing a variety of eras in the technology, not just for display, but for the play and amusement of the patrons. “For once, here’s something in the museum you can touch!”, quipped MK founder, Michael Perry. 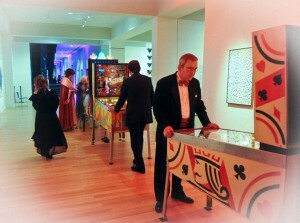 The event was a huge hit and we are looking forward to doing more activities with NOMA and their patrons! The games displayed covered the electro-mechanical era with a Gottlieb Wedgehead called “Jacks Open” featuring its own unique artwork, an early solid-state game from 1979 called, “Genie”, an early 1990’s game from Bally/Williams, “Jackbot” to the ultra-modern game released in 2013, JJP’s “Wizard of Oz” pinball! 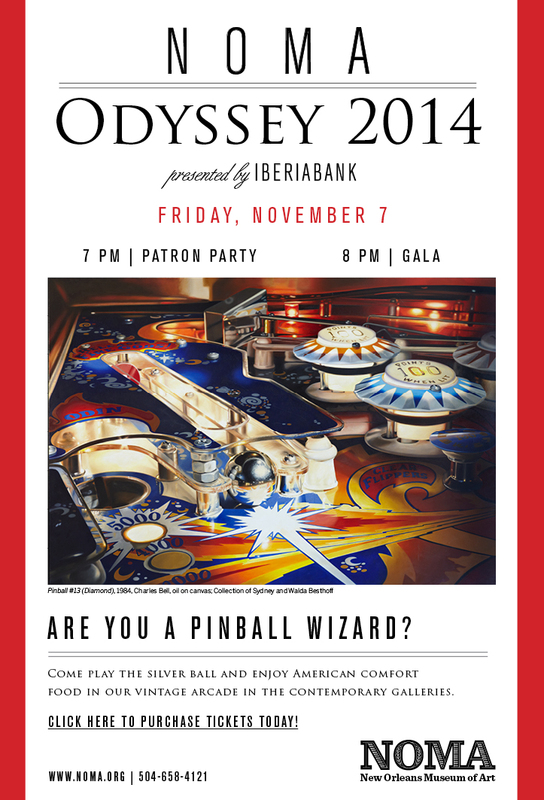 The success of the event and the huge interest it generated further demonstrates the interest among the local community for a dedicated, vintage pinball venue, which we are actively seeking to establish. 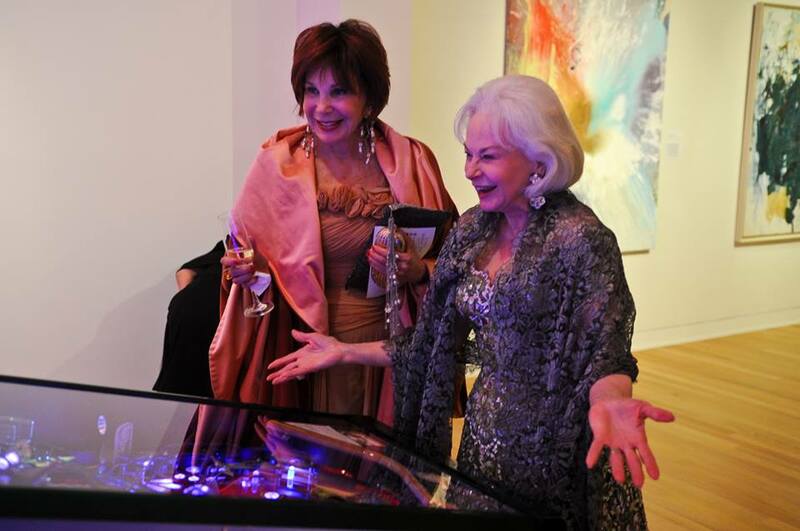 A lot of great contacts were made among important dignitaries in the area that we hope will bring us further towards our goal of making these wonderful machines available to the general public.